CNBC has issued a stream of flawed reports suggesting calamity and doom for Apple Watch--already the world's most commercially successful wearable--with each article twisting data to say the opposite of the truth in order to deliver sensational clickbait. Despite constrained supplies that have sharply limited its retail availability, Apple Watch has found more buyers over the past quarter than every other smartwatch vendor (or even the entire Android Wear platform) managed to sell across all of 2014--by a huge margin. Canalys reported that just 4.6 million "smart wearable bands" were sold last year, and just 720,000 of those used Google's Android Wear platform. Smartwatch Group offered its own estimate on last years' "Internet enabled watch" sales, counting 6.8 million devices (including products like Nike Fuelband and other wearables from 40 different companies). 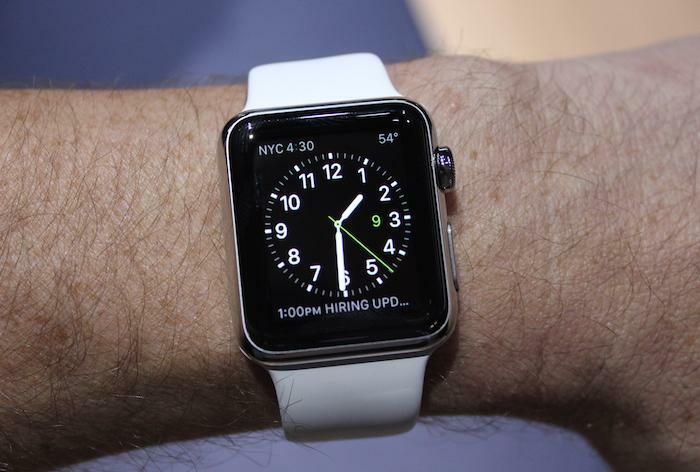 By any measure, Apple Watch has immediately trounced every other vendor and platform right out of the starting gate. The group reported Samsung to be in the lead with shipments of 1.2 million wearables (mostly running the company's own Tizen software, rather than Android), followed by Pebble's proprietary wearables platform of 700,000 devices in second place. No vendor, including Apple, has released official sales data on smart watch sales. However, it's clear from all available estimates that in just two months Apple has already sold more than double the number of wearables Samsung shipped across 12 months of 2014, despite the wide portfolio of much cheaper Gear devices that have been available to buyers since 2013. By any measure, Apple Watch has immediately trounced every other vendor and platform right out of the starting gate. Investment firm J.P. Morgan told investors it expects Apple to sell 26.3 million units before the end of calendar 2015. Rumors from the supply chain are even more optimistic, suggesting Apple could build as many as 40 million units in the first year if demand calls for it. It's so unflattering to compare Apple's Watch sales to the existing market for wearables from every other vendor that CNBC decided to instead compare Apple's initial Watch demand to iPhone 6. Reporting on the Apple Watch launch in Singapore, Nyshka Chandran wrote for CNBC that "In tech-savvy Singapore, new Apple products typically trigger snaking lines spanning multiple blocks, but the Apple Watch got short shrift." 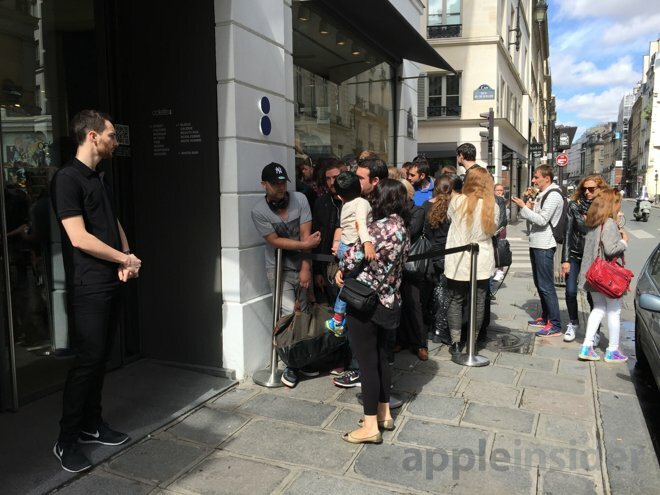 The article's headline claimed Apple Watch was met "with a shrug" in the country, despite observing that about 70 people were waiting in front of three retail stores the day they began selling the new product. No other watch in any country has lined up that many customers at launch around the world, with lines persisting weeks after the initial launch. The only way CNBC could denigrate the demand for Apple Watch is to compare to iPhone. However, when iPhone launched in 2007, the market for smartphones was already exceeding 122 million devices annually, and sales of basic mobile phones were greater than 1.15 billion units. The entire market for higher end watches is a tiny fraction of where smartphones were back in 2007, so Apple and its competitors are essentially working to create a new market. Even so, back in 2007 Apple sold fewer iPhones in its first four months (1.4 million) than it has already sold in just the first two months of its Apple Watch launch. The lines are shorter primarily because supplies are so constrained in comparison to demand that the company has so far forced the majority of early adopters to buy online. Comparing lines of Apple Watch and iPhone buyers to report a supposed lackluster demand for the latest new product demonstrates a breathtaking lack of understanding of either market. However, a second report by CNBC, written by Uptin Saiidi, is even worse. It sought to establish the notion that consumer interest in Apple Watch was "dissipating," based on an excerpt cherry-picked from an ongoing "Ethnography Study" published by MBLM. The MBLM study provided users with an Apple Watch and asked them to journal their experiences as they use it; the study participants weren't early adopter buyers who sought out an Apple Watch on their own accord. Saiidi wrote that "millennials are dissatisfied with the watch," noting that "many reported the original thrill of using it began to dissipate after 30 days, with the watch starting to feel like a weak extension of their iPhone. Some even reported feeling guilt over wearing the Apple Watch, saying it was an ostentatious symbol of wealth, while others said the watch is simply frivolous." While presenting the opinions as a statistic, Saiidi failed to note that the "brand intimacy agency" conducting the study only involved 11 participants over a range of ages. That means his generalized characterization of "millennials" was actually based on a very few individuals' comments. When asked about the sweeping conclusions made from the comments of just "some" or "many" of fewer than a dozen participants (who didn't even buy a Watch), Saiidi claimed on Twitter that the study included "more than 850 surveyed," and that "11 were extensively interviewed." @DanielEran @CNBC more than 850 surveyed. 11 were extensively interviewed. That is not true. Mario Natarelli, a Managing Partner with MBLM, confirmed to AppleInsider that the study actually involved just 11 participants, noting that "we have amassed over 850 open ended survey questions and 40 hours of interview footage" from those users in a series of interviews conducted similar to a focus group. Informed of his misunderstanding of the study size, neither Saiidi nor CNBC have corrected the story. Instead, it was picked up by aggregators as legitimate reporting, and even cited by The Street in a post that claimed "millennial dissatisfaction" of Apple Watch was the cause of a slight downward change in Apple's stock price on Friday (it closed 0.59 percent lower than the previous trading day). It only took one sloppy, inaccurate report to trigger a new series of dog-pile clickbait making unsubstantiated claims about an entire demographic based on the opinions expressed by four volunteers who didn't even buy a Watch for themselves. The actual findings from MBLM are actually mostly positive, including comments that "joy and wonder were the overwhelming emotional anchors experienced by participants," and that "happiness overcomes frustration. 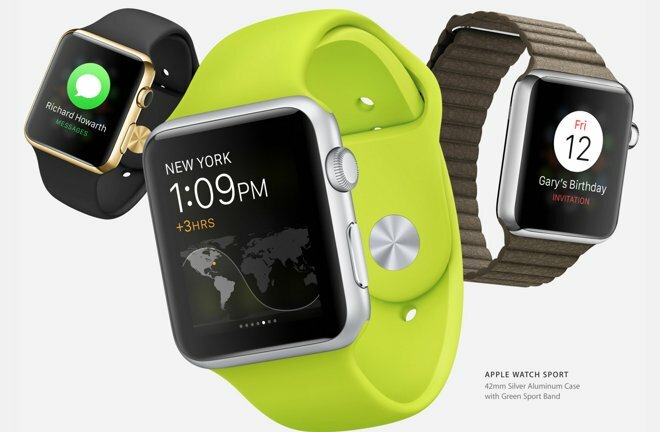 There are limitations with the watch, however, most trust Apple will work out the kinks." The group observed that among participants, "consumer behavior shifts based on demographic differences. The young learn intuitively and are more social in their use, focusing on sending emojis, texts, and calling friends, while older users require more time to understand the functionality and are more interested in checking the weather and getting key notifications." Natarelli concluded after the first week that "Apple Watch is an effective device because of its ability to develop a powerful and intimate relationship with users." After using it for a month, four users out of the eleven expressed some complaints about wearing it regularly, while others said "it was easier to use my watch than my phone at work," or that "when my phone is in my handbag and my hands are full, it just makes it much easier to use the watch." Reporting that "millennials are dissatisfied with the watch" is no more accurate than saying "all people with jobs and/or handbags find Apple Watch easier than using a phone." Both are individual opinions, not a significant statistical representation of a broad demographic. Earlier this month, CNBC also directed attention to speculation by 9to5Mac, "citing anonymous sources," that made unsubstantiated claims about FaceTime video hardware while also getting facts wrong about features such as tether-less WiFi, which Apple said it will bring to existing Watch customers in watchOS 2 later this year without necessitating a hardware upgrade as the site suggested. Despite its industry-trouncing sales at launch, Apple Watch has, as noted back in March, incited more mocking disbelief, concerned handwringing and passionate prognostications of doom--for Apple, for its buyers, for society in general--than any product since iPhone, with the potential exception of iPad. Maybe Apple is onto something here.